V8 swap?! ;) Just kidding, good luck! 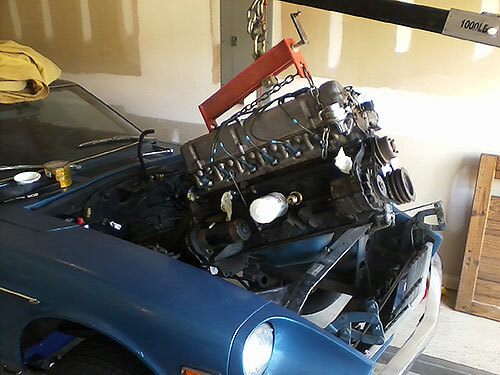 I discovered your blog after acquiring my ’72 240Z. This is really high quality stuff you’re putting up here. You have a great story to tell, and I love reading it. Thanks for what you’re doing. Thanks Dave. I plan to make some more progress soon. Stay tuned! I have 73 240Z that I have owned from new. It’s not been started since 2009, and has rust issues similar to you. Your great work here on your blog has got me to start my plan for a complete restoration. Do you have any new updates to share with fellow Z lovers? Glad to hear I’ve helped inspire you! These classics definitely deserve to be brought back. 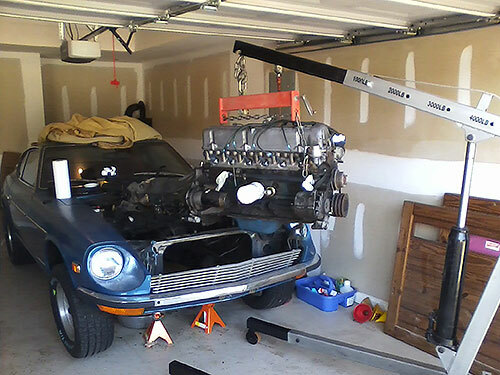 Pick up a copy of How to Restore Your Datsun/Nissan Z Car if you have a chance; it’s a great resource. No updates as of yet, but there should be some progress very soon.